The aged apostle Paul knew the importance of self-monitoring from his decades of ministry. That’s why he told young Timothy, “Pay attention to yourself.” We each carry inside ourselves a dark bent that can morph into destructive habits if we’re not careful. For this reason Chuck Swindoll focuses on what we drag into ministry from our old nature, generating unnecessary difficulties. 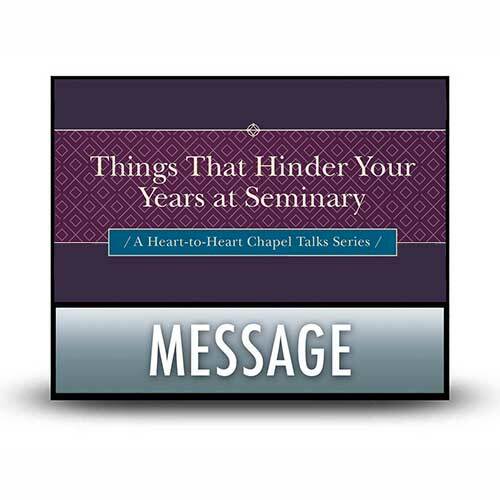 Filled with practical tips from his more than 50 years of ministry, Chuck Swindoll helps us tap into the special mercy we need from God to complete the ministry to which He’s called us.